The age of personal flight has finally arrived. 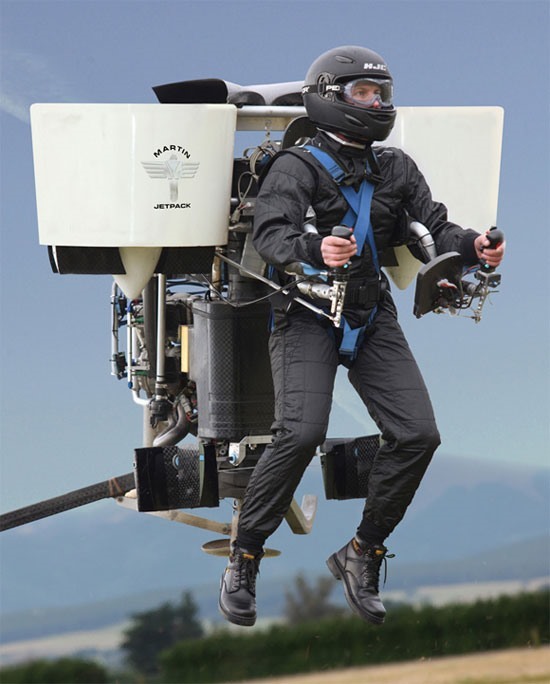 You can now purchase your very own jet pack for the extremely high price of $75,000. The Martin Aircraft Company Jetpack gets 30 miles to the tank, sails along at 60 mph, and can reach heights of almost 8,000 feet. Oh, and bonus: since it weighs less than 254 pounds, you won't need a pilot's license to operate. Previously, NASA's Wicked Cool Take on the Classic Jetpack. News: Jetman Flys Over Atlantic with DIY Wings - Plummets!